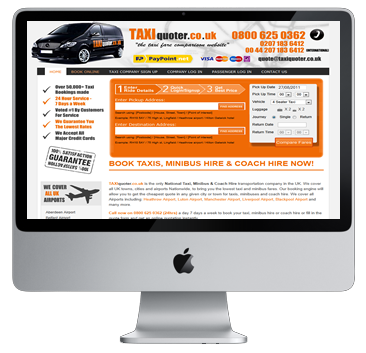 Taxi Quoter has become one of the leading online taxi and cooch hire companies in the United Kingdom. Serving both national and international clients, Taxi Quoter has built a solid reputation for affordability combined with a quality of service. We took this project on in late 2010 when Taxi Quoter was a little known entity. After our extensive work on the website has eventually led this company to become a market leader in their respective field.